Ennio Morricone has scored hundreds of movies, including Cinema Paradiso, The Untouchables, The Mission, and recently The Hateful Eight for which he has won the 2016 Oscar for best score. Ennio Morricone has composed about 500 scores, from “The Good, The Bad and The Ugly” to “The Mission”, “Cinema Paradiso”, “Malena”, and in 2015 “The Hateful Eight” for which he has finally won his first Oscar at the age of 87. Ennio Morricone has also composed pop songs such as “Se Telefonando” performed by Mina. In his early years he was an arranger, an orchestrator, a composer which helped him approach his first movie scores. The style of Ennio Morricone is recognizable in most scores, especially the westerns by Sergio Leone, and the more romantic scores. The following video is from a live performance held in Venice in 2007 in which the Maestro conducts the orchestra performing some of his most famous pieces. From The Hateful Eight, L’Ultima Diligenza di Red Rock. 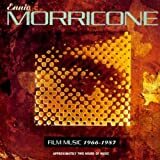 Here are some recommended selections of Ennio Morricone music available on CD, and MP3. Exclusive import-only two CD release featuring the best by this internationally renowned film composer and Academy Award Lifetime Achievement recipient. 33 tracks including themes from ‘The Good the Bad & the Ugly’, ‘The Mission’, ‘Once Upon a Time in America’, ‘The Mission’ and others. Virgin. 31 selections from the man who forever defined the way a Western should sound, including snatches from Once Upon a Time in the West (including that great Man with a Harmonica ); A Fistful of Dollars; For a Few Dollars More; Death Rides a Horse; A Gun for Ringo , and more. (The Good, the Bad and the Ugly), (The Mission), (Once Upon A Time In The West), (Once Upon A Time In America). 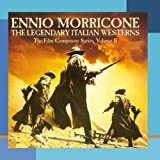 Morricone is traveling around the world performing this amazing concert for peace, which was conducted in front of the United Nations, portions of which can be seen on this DVD set.